Mumbai, April 16 (IANS) Aiming to better embrace digital transformation, online beauty major Nykaa.com on Tuesday announced it is partnering with software major Adobe in order to expand its focus on Customer Experience Management (CXM). 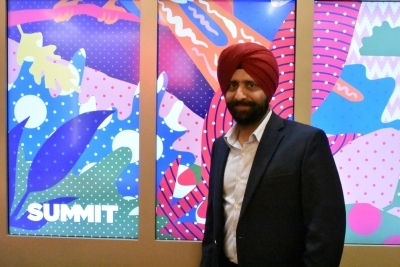 "Led by its increasing digitisation focus, mobile-first customer behaviour and vast millennial population, India is well on its way to becoming a trillion-dollar economy," Adobe Managing Director (South Asia) Kulmeet Bawa told reporters here. "Today more than ever, businesses are rapidly evolving to become Experience Businesses, and this quest for transformation is pervasive across the C-suite. Customer Experience Management (CXM) unlocks digital transformation and Adobe is leading the way with continuous innovation on its Adobe Experience Platform," he added. Nykaa is leveraging Adobe Experience Cloud solutions - Adobe Media Optimizer and Adobe Analytics - to power its approach towards customer acquisition and experience management. "Nykaa.com was conceived with a vision of approaching beauty as an experience, rather than a commodity, and through the years, we've made strategic investments in digital to deliver on this goal. With Adobe's long-standing partnership, we look forward to adding thrust to our focus on delivering relevant, real time experience to our customers," said Nykaa Founder and CEO Falguni Nayar.